One thing, 0 Monks, developed and repeatedly practised, leads to the attainment of wisdom. It is the contemplation of the body. Wherever we go, all day long and all night long, we have a constant companion. We are joined at the hip and everywhere else. Yet we seldom consider this most profound of relationships. We pass it over without a thought, as if it were of no importance whatsoever. But in ignoring it, we ignore both the source and solution of many of our problems and put off our encounter with the mystery of our real nature. Our bodies go back in a long chain of being to our most distant ancestors, and beyond them to microscopic plants and the inorganic matrix of the world. If over the billenia one tiny part had been different, we might never have existed. 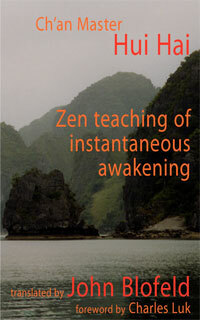 We are part of the great chain of being that nature is, part of that interbeing of which Thich Nhat Hanh speaks. Not only are we all made of the same stuff, but without one another we would almost certainly die. Not only do we have all that is necessary for that study at hand, but we can begin nowhere else. How do we know about the world? — via the body, perception, sense consciousness and so on, all dependent on this embodied state. Initially at least the body is the world for us and later, the world is seen as an extension of it. Our bodily senses — touch, sight, hearing, smell, taste — mark out the world, quantify it, and define its parameters in ways of which we are scarcely aware. Our bodies give us extension into the world and at the same time limit us. They keep the world out and us in. And all this – the air we breathe, the light we need for seeing and growing our food and the water that allows our bodies to function (95% of us) all coexist in the finest and most intricate of patterns, patterns extraordinarily fluid and adaptive, yet vital to the maintenance and survival of the whole. But even so, why should we study the body or indeed concern ourselves with it at all, since it does so well left to get on with things by itself? Human birth is a very precious thing, for human birth, according to one tale, only occurs as often as a turtle swimming the great oceans rises to the surface and puts its neck through a circle of jade, which is only in that place once every thousand years. Rare and special. But how seldom our awareness rests within this body; how seldom the body and mind are at ease with themselves. Mind rushes off on track after track pursuing vagrant ideas like fireflies, losing itself in a hundred speculations, worries, apprehensions, inquiries, doubts, rarely at rest; so many of our ills come from this. We seldom think about our bodies; they are something given. When they work well and provide us with pleasure and happiness, we are satisfied with them and then ignore them. Only when they stop working properly, do we attend to them, and then only as a teacher to an errant pupil; we are angry and disappointed that they have failed us. We have a strangely ambivalent attitude to something so vital to us. It’s not like our relationship with a car; we can’t go out and hire or buy another one when it breaks down; yet we often treat our cars with more care and consideration. We are born into this body, and when it dies, we die. But is this what we are — these arms, these legs, this head, eyes, teeth? With modern techniques, an awful lot of it can be made prosthetically. And so what are we? The bit that remains? The brain, two ears and so on? Or is this perhaps not how it is at all — not what we are at all? The world is so full of bodies, but in reality there is only one — that of nature herself whose chain of being and substance is what made us — rather than any act of heroic will or intellectual choice. Every bit of us and every bit of everything else on this world of ours is indissolubly linked. When men and women go into space, they take the air, the rocks, and the waters of earth with them, and if those are lost, they die. Seeing and beginning to understand this is the beginning of wisdom, or at least the end of that isolative ego world that brings so much harm, greed and misery with it. It is also the only place to begin, because in truth we can begin nowhere else. Buddhism never favoured these fixed positions. It considered them a misunderstanding of reality. Eternalism sits uncomfortably with the fundamental transitoriness of things. Things and states (including the eternal) are objects in the mind, and objects in the mind are conditioned and therefore impermanent and unreal, not being that `Unborn, unmade, unconditioned,’ of which the Buddha spoke, when asked about the absolute. As for a lifetime of indulgence, ignoring everything and everybody else except what one wants, the Buddha simply considered it contemptible, and not only contemptible, but conducive to suffering for oneself, for others, and perhaps for an infinite future, as a flame passes through a forest from tree to tree, burning everything it touches. But does one choose this body or decide its dimensions? Is one even able fully to control it? Can one choose when one wakes, goes to sleep, is ill, is healthy? No, most of what occurs with respect to the body is involuntary. We know, for example, that the body has various repair mechanisms, but it is very rare that we can set these in motion ourselves. If the body were simply us, we would have a great deal more say in the matter. But the Buddha did not refute the body, he even said that it was within this fathom form, that the truth of the deathless could be discovered, and not after death, but in this very lifetime. So the embodied state is not an impediment in Buddhism, it is instead ‘Thoroughly to be investigated . . . ‘ And how should this thorough investigation begin? `For the time being, I don’t want you to concern yourself with what you’ve studied at all,’ the great teacher Ajahn Mun said, `I want you first to restrict yourself to the sphere of the body, because all of the teaching in the texts points to the body and mind, but the mind doesn’t yet have any firm evidence, so you can’t take what you have learned from the texts and put it to good use. 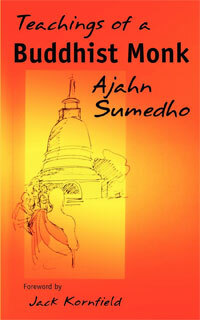 The dhamma will simply become allusions and labels, to the point when you become a person with no foundations . . . ‘ And you must begin with the foundations, the first of which is the body. For too much of the time, the body is simply an idea to us, a tangle of involvements which merely fog the reality. To deal with the body, we need to be able to see it as itself, and in that seeing come to a harmony with it. Most of the time, the body is a source of attachments, aversions, desires, frustrations, loves, hates and fears — perhaps most of all, fears. These are all bound up with concepts that we have about the body and what we think of as ourselves. Even the form of our body — our muscles and posture — are moulded by our lives, mental as well as physical, to become a living record of all our inhibitions and traumas. What do we do when we sit down to meditate? Well, what is there to begin with? There’s the body, that’s all we really know anything about. To start off with at least, it seems to be what we are, or we seem to be what it is. 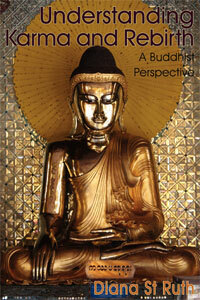 But far from being merely the beginning, the emphasis on the body runs right through Buddhism. Just as in the sacred dance ‘the body was the altar and expression of the god,’ so enlightenment in the Pali Canon is referred to as ‘touching enlightenment with the body,’ and it is hard to ignore just how many Zen stories end not with a punch line but with a punch. A purely physical response, one is given to understand, expresses more of reality than any words could do. 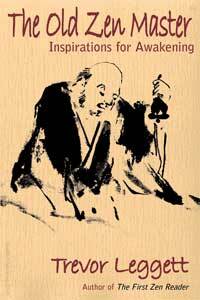 ‘Without silence, without words, show me the essence of Zen,’ the master says, then the master or enlightened student shows it with a blow, departure with a slipper on his head, or in the case of the Buddha, the twirling of a flower between his fingers, and that unique smile. How simple and easy for the uninitiated to dismiss. There’s a school that tells us to ignore the body, avoid it, pretend it isn’t there or is anyway not of any importance. But that is a rather unsubtle kind of attachment, or aversion if you like; it requires an active ignoring of the body, which is entirely counter productive. So what do you do? You open up to it, sense it out, see how it feels; just observe and let it open up to you. The Buddha and many of the great teachers throughout the ages have recommended practices specifically involving the body. One of the most favoured is the ‘body scanning’ technique. This consists in moving the awareness very slowly through the various planes of the body, first in one direction, then another, and simply observing quietly and dispassionately the tensions and conditions as these unfold and pass away from consciousness. Slowly the initial ‘lumpishness’ of the body (and the mind) give way to more refined functioning, flowing, and becoming light, as the breathing itself softens and lightens. As the barriers dissolve, mind and body appear less and less at odds, and the body and its breath cease to be perceived in isolation and become, as it were, part of the ‘great body’ and the ‘great’ breath; ruach, as the rabbis call it. Here, there is no place either for ascetic practices or indulgence. These set up a dualism which merely hides the truth. This truth is not to be forced into the open by starvation and the infliction of suffering, any more than suffering can be driven out by indulgence and hedonism. Both of them fail to take account of things as they are and not just how we would like them to be. The body is a wonderful teacher of the how-it-is, with its recurrent aches and pains, itches and tremors. Its variability is a microcosm of the world around us. You don’t have to go any further; all life is just here, like this. And if everything symbolizes the body and is symbolized by it, the body should lead to the understanding of the mind and vice versa. To miss it, is like an essay on green, which never explains how it is made from blue and yellow. Who knows? Perhaps Huxley was right when he said, `The body is a machine of the nature of an army, not that of a watch, or of a hydraulic apparatus. Of this army each cell is a soldier, each organ a brigade.’ But somehow this is like a network with the nexus missing; a thing too mechanically perfect to be quite alive, to be quite human. How positively the body responds to a little kindness, care and attention. It is the one good companion with whom we share our lifetime’s journey, for the most part uncomplainingly. Pope wrote: `All are but parts of one stupendous whole, whose body Nature is, and God the soul.’ Never mind the terminology. There’s something human there, something wonderful. Something that Pope, at least, refused to ignore. Some more posts by John Aske. Halfway through reading this, I paused to check how my body was, and was amazed at how much I had been ignoring it! Poor thing was all hunched up… I moved myself into a more comforting position, my breathing improved, my body smiled ;-) Thank you for this teaching. Thank you, John. I have lately discovered your posts and find them enlightening and dead on. I enjoy them no end. my body with its health problems has the right to be the treasure that God created and given just as a flower or a shrub or a tree which are just as fascinating and even more for us to be grateful for.